The Deutsche Tourenwagen Masters (DTM, German Touring Car Masters) is a touring car racing series based in Germany, but also with rounds elsewhere in Europe. I have always been fascinated by the battle between Audi, Mercedesand Opel, so when I got the chance to collect some of these beauties, I jumped in. I wish to collect a field of DTM cars with different startnumbers and drivers. 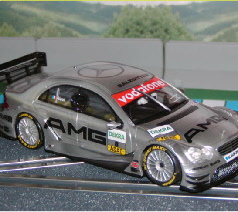 Take a look at my DTM cars here.